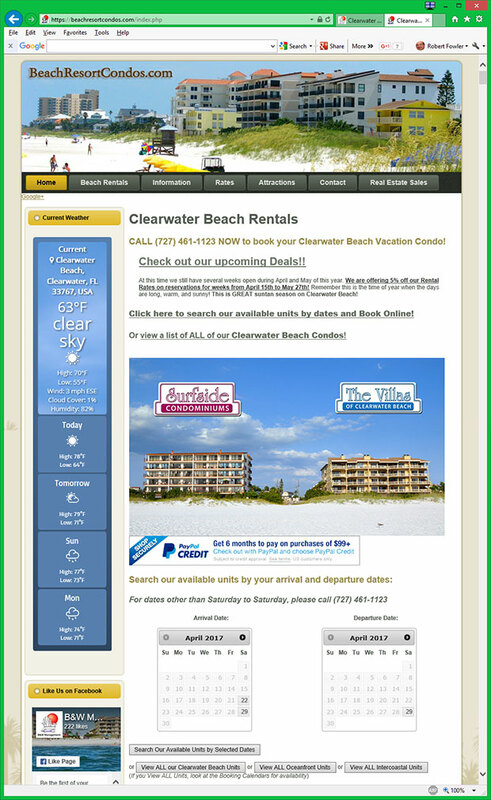 You are here: Home / Blog / Clearwater Beach Activities / Clearwater Beach – Where to Eat, Stay & Play! Clearwater Beach, Florida has been voted as 2018’s #1 Best Beach in America, ranked in the top 10 Best Beaches in the World, and is one of the Best Spring Break Beaches in America! If you’re planning a trip to Clearwater Beach you may have some questions and we will do our best to answer them all! If you have a question about Clearwater Beach we don’t answer, please leave a comment below! Clearwater Beach, Florida is located just outside of Tampa, Florida – providing easy access from nearby airports, Tampa International Airport and St. Pete-Clearwater International Airport. Both airports are within 20 miles of Clearwater Beach, making it a short drive… in distance at least. During peak tourism season the traffic entering onto Clearwater Beach can back up. If you’re just going to the beach for the day you can avoid the traffic and save on the hassle of finding parking by taking Clearwater Beach Ferry from Downtown Clearwater. If you didn’t take the Clearwater Beach Ferry, you’ll need to find some parking. There are several public parking lots, parking meters on the streets and a parking garage located on the north side of the island – but parking can still be difficult to find. So always keep in mind the ability to park in Downtown Clearwater and use the Jolley Trolley or Clearwater Beach Ferry. Clearwater Beach has many incredible restaurants to visit for breakfast, lunch, happy hour, romantic dinners and even late night cravings. Clear Sky Cafe: Bloody Mary Bar and great breakfast food! The Villas of Clearwater Beach and Surfside Condominiums are of course our top choice when asked where to stay on Clearwater Beach! B&W Management, Inc. offers Clearwater Beach Condominiums each with Beachfront Oceanview private balconies for the best sunset views possible! Surfside Condominiums and The Villas of Clearwater Beach have 2 bedrooms, 2 bathroom units and 3 bedrooms, 2 bathrooms. Each of these units come with private balconies, full kitchens, washers and dryers in each unit, private parking spaces and access to the pool and BBQ grill by the pool. Each unit will even come with beach towels and beach chairs! Surfside Condominiums also has and a beachfront penthouse with four bedrooms and 3 and a half bathrooms available! These Clearwater Beach condos are perfect for family vacations! If you’re looking for a place to stay for a quick weekend trip and don’t need as much room. There’s also some great Clearwater Beach Hotels right on the island! Head on down to the beach with your beach towel, beach chair, and don’t forget your SPF! Clearwater Beach is known for its soft white sand and warm waters with calm waves. It’s a great place to sit and relax, play with kids, and go for a beautiful walk on the beach. You can even walk the beach to Caladesi Island State Park. One thing to keep in mind is that Clearwater Beach is proud to be a family beach, and alcohol is not allowed when your feet hit the sand. There are many bars and restaurants touching the edge of the beach and have beautiful views and cold drinks ready for you. If you’re staying with B&W Management, Inc. enjoy your favorite drinks right on your private beachfront balcony! Looking to enjoy some time on the water? You can rent paddle boards, kayaks, and other beach and ocean toys from Clearwater Beach PaddleBoard and Rental Co.! The Clearwater Beach Marina has a lot of fun to offer as well including fishing charter boats, sunset dinner cruises, charter sailboats, para-sailing, paddleboards, and kayak rentals, dive boats, boat rentals, jet ski rentals, speed boat rides and a number of different sightseeing and excursion tours including a pirate ship! Visit Winter and Hope, the stars of Dolphin Tale and Dolphin Tale 2, at the Clearwater Marine Aquarium! The Clearwater Marine Aquarium is not your typical aquarium. It is a marine life rescue center focused on the rescue, rehabilitation, and release of sick or injured marine animals. While visiting the Clearwater Marine Aquarium, you’ll get a chance to meet Winter the dolphin and get an immersive look into the world of marine life rescue at the working animal hospital. If you end up with a rainy day, there’s still a lot of fun things to do! Click here for more rainy day activities! Have some questions? Ask in a comment below and we will respond shortly! https://beachresortcondos.com/clearwater-beach/wp-content/uploads/2018/09/Clearwater-Beach-Where-to-Eat-Stay-Play-Crop.jpg 2046 3487 Brad Wester https://beachresortcondos.com/clearwater-beach/wp-content/uploads/2017/04/clearwater-beach-blog-logo1-300x138.jpg Brad Wester2018-09-21 10:14:272018-09-24 11:06:18Clearwater Beach - Where to Eat, Stay & Play!